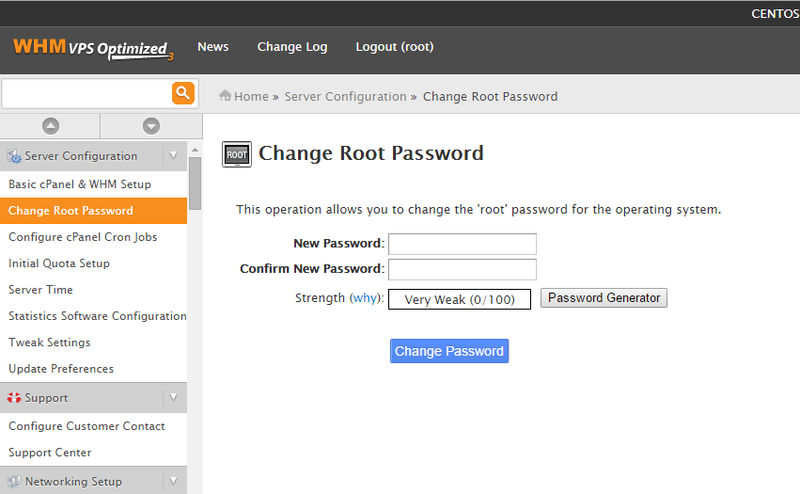 This guide will take you through resetting a password on cPanel and WHM via our Cloud Portal. An Atlantic.Net Cloud server with CentOS 6 and cPanel & WHM. Where new_password is your password you would like to use. Once done, you may now log into WHM as you would normally with the new password. If it still does not work for you, chances are you are blocked by cPHulk and to remedy this, please see this guide here. You will need to go to WHM’s “Change root password” section under “Server Configuration” like the image below and set the password again. Once done, you have successfully changed the password.